…and I was literally just jamming to this one, I felt the need to share it, too. You’re welcome. Yep… That's me (a rare self-portrait-enjoy!). Tah'd as all get out. No energy. I don't want it, but I sure need it, if not for anything else but to get through another day. One day soon, though, rest will be here. Until then, help me Gaga. So much to do, and not enough blog to share. What's a Beez to do? Hope your weeks have been well. Test Run: Let’s See if Blogger will Let Me Be Great! If anyone can read this, it means that I've FINALLY learned the secret to mobile blogging. I know, I know, I've been quite neglectful lately *sweeps up cobwebs* BUT, I have been mighty busy. Work has been interesting, for lack of a better word. Tax season is in full swing, and I've been getting the hours to prove it. Except for the whole getting sick thing that's been happening as of late, I've been keeping pretty busy. The food pantry's fluorishing, hooray! I'm quickly learning the art of "not acting like I have to run everything while running everything"-ism. People are getting fed, needs are being met, and I just feel like this is where I'm supposed to be. Raht nah. If you can see the picture, this brings me back to simpler times…before SNOWPOCALYPSE. I'll work this out soon. For starters, though, I’d like to highlight some gifts that probably won’t give you any merit with any special women in your life… just saying. Ahh… the Booty Pop. For the women who need a little, *ahem* pop in the back. Not for those who wish to truly experience a state of Bootyliscious-ness. Now, the whole family can get their arms toned… for legs and the rest of the body, consult a gym or something. Seriously, people, don’t buy these for anyone as a serious gift. I’ll be back soon to spread more tales of holiday snortles. I’m currently in Tulsa, OK (pronounced “TOASTAH, OAWKRAHOMOAH” as I’ve heard from the locals.) I stayed the night with my friend and her baby en route to us making it to San Angelo, Texas, where a family will be reunited! As the song states, I believe it will feel so good. After that, I’ll be on the train back to IL, finally returning on Sunday. I hope you all are going well, and I’ll be sure to update you all either on the train, or once I return to the Midwest. I’m really hoping I don’t have a cold. Preview for my next post: Three’s Company. Beyonce = Toddler Exercise Regimen: All The Single Babies! I wanted to post this yesterday, but I got involved with some other things. Life is looking up, things are falling into place, and I’m peachy! 🙂 I hope that you all can say the same. For your convenience, I’ve offered a few videos of what to look for. Don’t be alarmed if your toddler gets too involved. Just turn off the TV, and their mood should mellow out after a while. This is not a seizure. Do not treat the babies as such. Seriously, though, weren’t they cute? I hope they brought a smile to your face. Also, I’d like to congratulate my buddy Assertive Wit on her first baby, born last weekend. I hope your Babybottoms offers you a couple of jigs once her motor control’s on lock! So I was watching Sesame Street (one of my favorite shows to this day) with the little’un, and I came across this classic Bert and Ernie bit, where Ernie decides he can’t sleep, and wakes the whole hood up because of his insomnia. • I used to wanna live on Sesame Street as a kid. They do errthang there. #FACT I still do. • Except I got a list of ppl I couldn’t live next door to. Elmo’s Public Enemy #1. • Bert and Ernie engage in too many shenanigans (not to mention their lifestyle)**, and Oscar’s like the hoodrat of the street. • Since Grover and Kermit disappeared, where the normal Muppets at? • Shoot, I can’t even live next door to the Count, after the Chapelle joke. • Telly whines too much, with his scary ask. Him and that Baby Bear. • My childhood has been tainted. Darn you, Sesame Street. 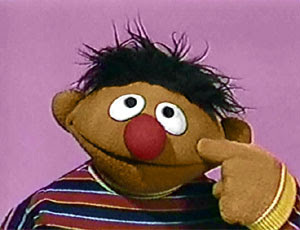 So, while realizing how much of a douchebag Ernie is, I realized that he is the prototype of the “bad roommate.” He’s loud (as evidenced by his sheep tapping antics), boisterous, and just plain inconsiderate at times. I dunno how/why Bert put ups with it… I mean, seriously, how long could you put up with a roommate (I switch between this and flatmate because of how E & B actually share a room, but in other cases, I’m leaning to flatmate or housemate now. ), who’s even a bad influence to the kids? Won’t someone think of the children?!?!? Fool. Bert has no voice in this household. And if it’s bad enough that Ernest T. Muppet (yeah, I just decided to go ‘head and give him a gub’ment name) is a bad influence to the kids and is a mess, he even invites the neighborhood to help him engage in said shenanigans, often without giving his “buddy” Bert any kind of notice. I mean, what are you supposed to think when you walk into something like this? So, we just have reggae parties in the bathtub all willy nilly, literally shaking the place up? Plus, it seems like Ernest has no source of income, so Bertram (as I’ve now decided to call Bert) should give him the boot. Some say Bert is Evil, but I’m inclined to think that that saxophone playing, duck whispering, life enthusiast drove him to it. Move them pigeons in. 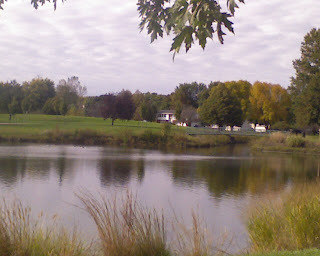 *Note from TheBeez: This was a much needed escape from reality. Thanks to all who read, and I just may continue this series! 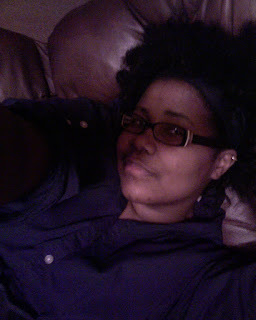 **Those of you not familiar w/Twitter, I only have 140 characters, and have to put a much needed NTTAWWT after that. Besides, it was based on the Family guy skit, which we know has no weight in the real world.